A career beginning, an education ending, and 30-years in between at Milwaukee's Bradley Center. 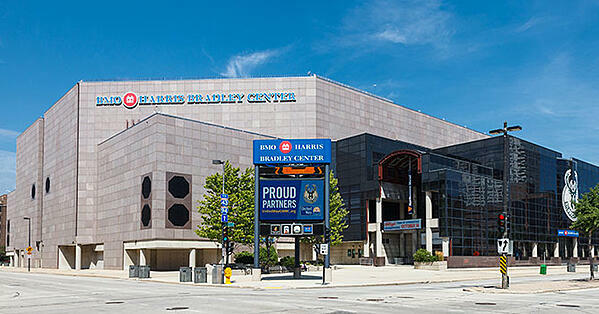 What do Milwaukee's BMO Harris Bradley Center and Lemberg have in common? They have a 30-year history with an electrician named Ted, whose first job after college was as an apprentice electrician building the Bradley Center. Back then, Ted was a young go-getter with some great mentors and the Bradley Center was just beginning to make its mark on Milwaukee. 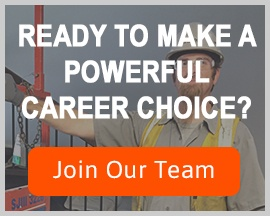 Ted is now a master electrician and project superintendent and field coordinator at Lemberg. He matches field crews to projects all over the southeastern Wisconsin, including the Bradley Center in downtown Milwaukee, which is being replaced this fall by the soon-to-be-officially-named Wisconsin Entertainment and Sports Center. Ted credits his mentors for helping him find his path to the electrical field and teach him the finer points of management. At 19, Ted was studying to be an architect at the University of Wisconsin – Milwaukee. Realizing architecture couldn’t hold his interest, he changed his study track to electrical engineering and transferred to the Milwaukee School of Engineering (MSOE) where he met the then-president of Lemberg, Ron Maassen. Maassen introduced young Ted to the electrician’s apprenticeship. His first job was the new professional basketball arena in the heart of Milwaukee. 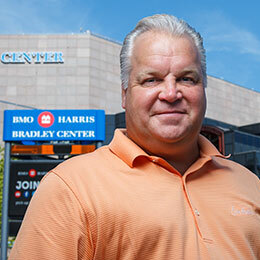 Since his first days at the Bradley Center, Ted has managed many large scale projects for Lemberg including five major hospitals and two shopping mall high voltage expansions in Milwaukee. His loyalty to Lemberg is palpable as he speaks of his professional journey. Ted is quick to point out that his loyalty was instilled in him by some influential Lemberg leaders that have spanned his employment with the company. Today, Lemberg has new leadership and is employee-owned but the essence of the company – the pride, the dedication – stills exists. According to Ted, management is approachable and the culture has an ease about it that is at once professional and casual. The company continues to grow from the 35-40 employees when Ted first started to over 150 in the field today. The right people are in the right places, according to Ted, and the administrative employees are motivated by their joint ownership to serve the customers. “My role allows me to visit the job sites and share practices that have worked for me and make the next generation successful,” he says. For him, this management side of the industry is just as interesting as the field side. Ted looks for a new generation of driven, dedicated, quick learners and works hard to bring out the best in others, placing the field employees into projects that will bring out their best qualities. Ted has come a long way since his days on the catwalk at the Bradley Center. He admits that seeing it come down will be bittersweet, but he knows that it will be best for Milwaukee. One of the last events to be held at the Bradley Center before its demolition this summer was the 2018 Marquette University Spring Commencement on May 20, 2018. Coincidentally, Ted’s son crossed the stage that day, ending his first stage of higher education – a fitting end to a very special era for Ted as well. Demolition of the Bradley Center is ongoing. Watch the implosion of Bradley Center, which took place at 9:00 a.m. on Sunday, January 13, 2019.